A string of bomb attacks hit popular tourist towns across Thailand, leaving four dead and many wounded, with authorities Friday ruling out terrorism despite suspicions insurgents in the kingdom's deep south are responsible. In the normally peaceful resort town of Hua Hin, blood-spattered tourists were treated by rescue workers as forensic teams picked through rubble, with police scrambling to reassure visitors the situation was under control. "This is not a terrorist attack. It is just local sabotage that is restricted to limited areas and provinces," national police deputy spokesman Piyapan Pingmuang said in Bangkok, adding that the authorities were still searching for culprits and a motive. No one has claimed responsibility for the 11 bombings, and the seemingly coordinated attack across five provinces does not match common patterns of violence in the turbulent nation now under military rule. Analysts said local Muslim insurgent groups could be responsible, but that targeting tourists far from their stronghold would be an unprecedented escalation of a conflict largely contained to the southern border region. Some observers said anti-junta forces could be plotting to discredit the military regime, which has staked its reputation on bringing a measure of stability to the kingdom since its 2014 power grab. "This act has severely hurt the entire Thai country. This reminds us that there are still bad people in our society," junta chief Prayut Chan-O-Cha said in a televised address Friday evening. He asked people to give officials more time to determine who was behind the blasts. "I offer moral support to all people. Do not retreat or be disheartened," he added. 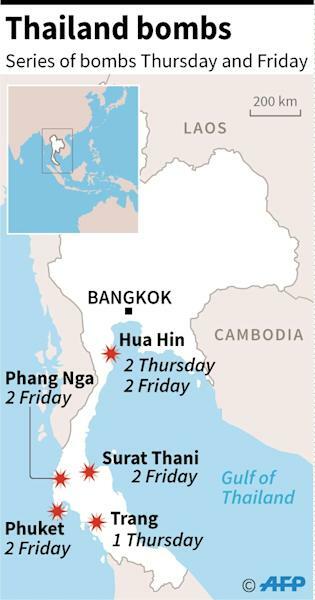 Worst-hit was the upscale beach town of Hua Hin, which was rocked by two sets of twin bombs in 24 hours -- one pair on Thursday night and the second on Friday morning. Two people were killed and more than 20 wounded, including foreigners. Two more blasts struck Friday at Patong beach on the popular island of Phuket while five more were reported in the nearby provinces of Surat Thani, Trang and Phang Nga, leaving two more dead and several injured. A Thai police spokesman said a total of 10 foreign tourists were wounded, including two Italians and one Austrian. Embassies in Bangkok said four Dutch and three Germans were also injured. "It was very shocking. There was a loud noise and police were running everywhere," said Michael Edwards, an Australian tourist staying in a Hua Hin guest house near one of the bomb sites. "I was just surprised that it happened here... now I'm thinking if it's worth staying," he told AFP. Police are also investigating a spate of fires in several southern provinces that took place in the same period as the bombings. The United States, Britain, Australia and several other countries issued travel warnings to their nationals. 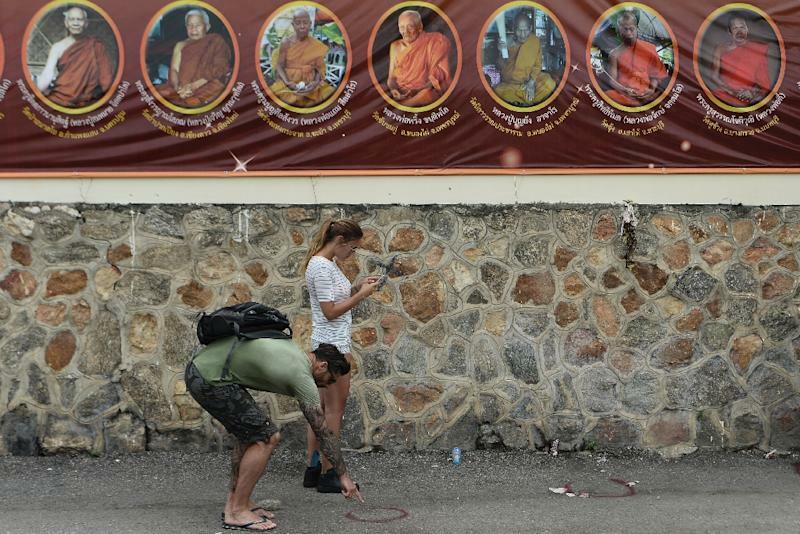 Two Swiss travel companies, Hotelplan Suisse and Kuoni Suisse, said clients with trips to Thailand before August 15 could change or cancel their plans for free after the deadly bombings, according to Swiss public broadcaster RTS. Hua Hin, about 200 kilometres (125 miles) south of Bangkok, is a popular stop for local and foreign travellers. It was for years the favourite seaside retreat of King Bhumibol Adulyadej, the world's longest reigning monarch. The 88-year-old is currently hospitalised in Bangkok, a source of anxiety for many Thais and a key factor in the kingdom's past decade of political turmoil. The attacks came days after the junta saw its new constitution draft approved in a referendum that followed a crackdown on critics of the document. One region that voted down the charter was the "deep south" -- a restive border area where Muslim rebels are waging a long-running insurgency against the Buddhist-majority state. Zachary Abuza, an expert on Southeast Asian militant groups, said that while the southern insurgents had not carried out coordinated attacks on this scale in recent history, it was possible "a small cell" was behind the assault. 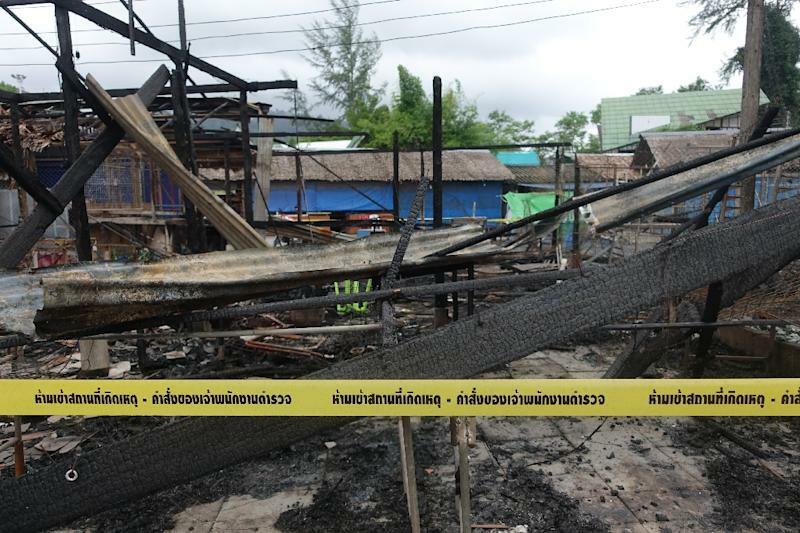 "Whoever has perpetrated these (attacks) wants to do serious damage to the Thai economy. That is where the junta is the most vulnerable." Thailand's deputy police spokesman Krissana Pattanacharoen told AFP the improvised explosives were similar in style to those used in the deep south but said it was "too early to draw conclusions". The latest blasts came ahead of the first anniversary of the last major attack on tourists, an August 17 bomb that killed 20 people, mostly ethnic Chinese, at a Hindu shrine in Bangkok. Two Uighur men from western China have been accused of the attack and are due to go on trial this month. Both have denied any involvement.